#Caturday: Ancient Egyptian kitten skeletons hint at very early cat domestication — 1389 Blog - Counterjihad! 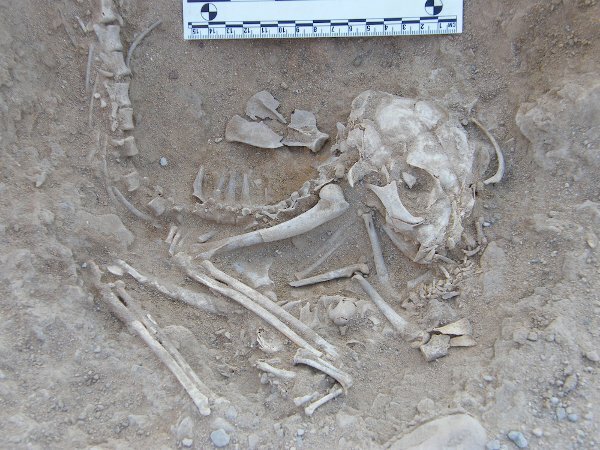 The skeletons of six cats, including four kittens, found in an Egyptian cemetery may push back the date of cat domestication in Egypt by nearly 2,000 years. The bones come from a cemetery for the wealthy in Hierakonpolis, which served as the capital of Upper Egypt in the era before the pharaohs. The cemetery was the resting place not just for human bones, but also for animals, which perhaps were buried as part of religious rituals or sacrifices. Archaeologists searching the burial grounds have found everything from baboons to leopards to hippopotamuses. Archaeologists once believed that cats were domesticated in the time of the pharaohs in ancient Egypt, approximately 4,000 years ago, between 2310 B.C. and 1950 B.C. But in 2004, researchers reported a 9,500-year-old joint burial of a cat and a human on the island of Cyprus. Meanwhile, cat domestication in China may date back 5,300 years, according to research published in December 2013. Van Neer and his colleagues, including excavation director Renée Friedman, discovered the cat skeletons by the eastern wall of the cemetery in 2008. All six lay nestled together in a pit about 20 inches (50 centimeters) in diameter and about 10 inches (25 cm) deep. The archaeologists immediately realized they had something special. Cat skeletons are rare finds, Van Neer said, and complete skeletons are even more exceptional.